Two weeks previous to the event Paul Bird ran out of luck in the final few stages in Barbados with a spin on the 3rd last stage meaning he would finish 3rd overall. It was a busy two weeks for the Cumbrian as his bike team were entered in this years Isle of Man TT for the first time in a few weeks. As the final race wasn’t until the Friday afternoon before the rally Bird missed out on the chance to test the car having driven on tarmac for the last two events. Brian Bell had an overheated engine on his last event but the team at Hassington worked hard to get the car ready for this round aswell as Bird’s car to be swapped from Tarmac to Gravel specification in 10 days aswell as a re-prep. The day started terribly for Bird with the car picking up a misfire on stage 1 and Bird only managing 13th fastest. The day would continue to be frustrating for Bird when he picked up a puncture on the 3rd stage and dropped 2minutes. With only 3 stages left there was no chance of a good result but he brought the car home and picked up 13th overall which would of been 3rd if there wasn’t that 2 minute time loss. Rallying is all “ifs and buts” though. Bell and co-driver Matthew Whattam also endured a frustrating rally with an electrical problem that would after the rally be traced back to two broken wires n the electrical loom. The problem caused major Launch control problems and they would finish 39th. 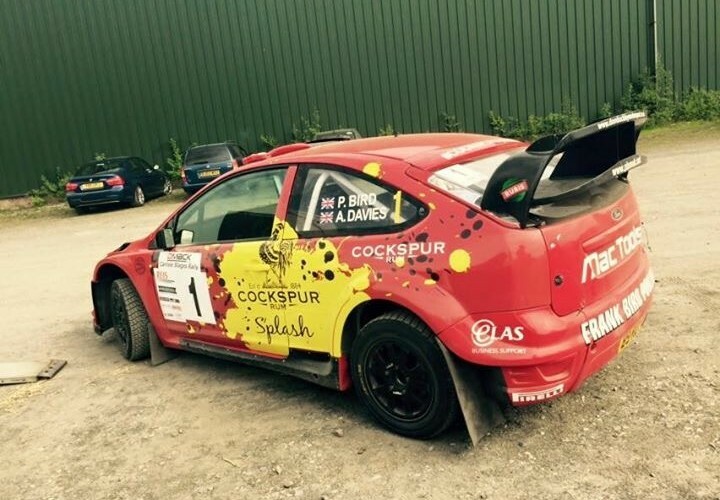 Both cars will be fully re-prepared and looking shiny once again for the next round – Nicky Grist Stages on 11th July.